This six-part TV series will be shown on Georgia Public Broadcasting in September and October. Each episode will focus on the remarkable stories and historic architecture of rural churches across the state, with stops near Rome, Augusta, Columbus, and Dalton, and a conversation with President Jimmy Carter. New episodes will air on Mondays at 9 p.m. (Sept. 10, 17, 24 and Oct. 1, 8, 15). 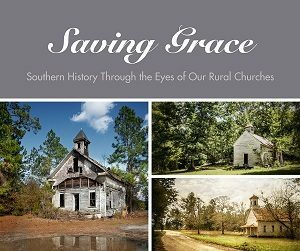 This series grew out of the book Historic Rural Churches of Georgia (2016), co-published by University of Georgia Press and Georgia Humanities.